LAFAYETTE, La. 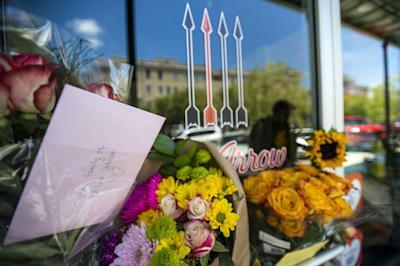 — Investigators uncovered clues Friday that lead them to believe John “Rusty” Houser may have been planning his deadly attack on a movie theater here for some time. 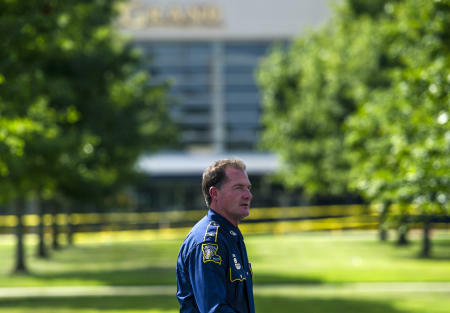 “We know that he's probably been to this location more than once,” said Lafayette Police Chief Jim Craft, standing outside The Grand 16 cinema where Houser randomly shot 11 people Thursday evening before committing suicide. Two of his victims died and five others remain hospitalized, one in critical condition. “Maybe he was testing, maybe he was checking, maybe he was determining is there anything that can be a soft target,” Craft said. Houser, 59, sat alone at the rear of the theater before standing up about 20 minutes into “Trainwreck” and opening fire with a semi-automatic .40-caliber handgun. Public records reveal Houser faced criminal charges many years ago, and acquaintances say he has a long history of mental illness. Craft said the ATF told Lafayette police Friday that the gun was legally purchased at an Alabama pawnshop in February 2014. Investigators said Houser was armed with two gun magazines holding 10 rounds each. He emptied one magazine before reloading as he tried to escape through an emergency exit leading to a side parking lot where he had left his car, Craft said. When he saw arriving officers closing in, Craft said Houser re-entered the theater and fired three more shots at moviegoers before shooting himself in the head. Louisiana Gov. Bobby Jindal toured the grisly crime scene late Friday. What authorities don't know is why it happened. Houser, who police described as a “drifter” from eastern Alabama, had been living in a run-down Lafayette motel since early July. In his motel room, investigators discovered wigs and other items that could be used as disguises. Members of Houser's estranged family told authorities he might have been trying to get a fresh start on life after a failed marriage and other struggles in recent years in Alabama and Georgia. Craft said a journal and other records recovered from the motel room indicate Houser had been in Louisiana since July 2 or July 3 and had traveled to other cities along Interstate 10. 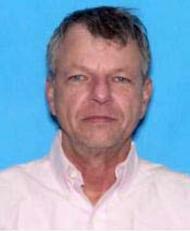 Houser is from Phenix City, Ala., but had bounced around before ending up at a local Motel 6, authorities said. A Columbus, Ga., woman, who requested her name be withheld, told Yahoo News that she had purchased a home that Houser once shared with his wife. The suspect eventually lived in the house alone for two years without making any payments, she said. The woman said Houser came from a “fine family in Columbus” — his mother was a schoolteacher, and his father was tax commissioner for Columbus. He used to attend church services years ago, she said. She added that Houser once attended law school but dropped out. He pursued a bachelor of business administration at Columbus State University from 1985 until 1988 and a juris doctorate (law degree) at Faulkner University in Montgomery, Ala., according to his LinkedIn profile. In 2008, Houser’s wife, Kellie Maddox Houser, and other family members requested a protective order from him. His wife also removed all weapons from their home because she feared his “volatile mental state,” according to the paperwork. The protective order was at least temporarily granted. That same year, the family also successfully petitioned a court to have him involuntarily committed for a short period. She later filed for divorce. Houser had been arrested several times from 10 to 15 years ago on various charges, including arson, selling alcohol to a minor and speeding, according to the AP. Jim Mustian, a journalist for the New Orleans Advocate, citing a local sheriff, said that Houser was denied a pistol permit in 2006 in Russell County, Ala. The suspect’s Linkedin profile describes him as an entrepreneur in “investment management.” He claimed to have owned two pubs in Georgia and to have tried his hand at real estate development in 2006. Houser listed “God's Business” as one of his skills. He appeared on “Calvin Floyd Live,” previously called “Rise and Shine,” on WLTZ NBC 38 in more than 60 episodes, according to the LinkedIn page. “Do not mistake yourselves for one minute, the enemy sees all posted on this website,” he wrote on a site dedicated to the New York chapter of Greece’s far-right Golden Dawn, which espouses fascist and neo-Nazi ideologies. “I do not want to discourage the last hope for the best, but you must realize the power of the lone wolf, is the power that can come forth in ALL situations. Look within yourselves,” he continued. Heidi Beirich, who leads the Intelligence Project, told Yahoo News that the Greek government is investigating Golden Dawn and considering shutting it down. Authorities identified the young women he murdered as Macy Breaux, 21, and Jillian Johnson, 33. Breaux died at the cinema, and Johnson died later at a local hospital. Houser’s apparent getaway vehicle had switched license plates on it and was parked near a cinema exit door, Craft said. “It is apparent that he was intent on shooting and then escaping,” he added. The Motel 6 where Houser had been living is a shabby two-story building along Interstate 10 about halfway between Houston and New Orleans. An unidentified man in a straw cowboy hat ran a Yahoo News reporter off the property late Friday morning. “You need to get outta here,” he said with a thick Southern accent. The 104-room motel sits between a Cracker Barrel restaurant and a convenience store, more than five miles from the theater where the shootings took place. The shooting occurred just a week after James Holmes was convicted for the massacre during a screening of “The Dark Knight Rises” in Aurora, Colo., in July 2012.